From November 17 to 20, 2015, the CHINA-PHARM, China International Pharmaceutical and Cosmetics Industry Exhibition, will take place in Shanghai. Now it's CHINA-PHARM's 20th anniversary, it will be hosted with 3 other professioanl events, PacPro Asia, FoodPex and BulkPex under the umbrella of swop - the Shanghai World of Packaging. 2 months before swop, the organizers interviewed Mr. Wu Chaowu, Executive Director of Rigao Co., Ltd.
1. Could you briefly introduce the products of Rigao Co., Ltd? Mr. Wu Chaowu:Rigao Co., Ltd is devoted to researching and developing smart packaging lines, and specialized in providing personalized and customized one-stop packaging solution for daily chemical and pharmaceutical industries. Our products are endowed with independent intellectual property rights. Our company has 33 patents now and has been listed as one of national high-tech enterprises in China. We have participated in drafting National Standard for Soft Tube Filling and Sealing Machine. Our core product is Soft Tube Smart Filling and Sealing Line, featured with high-speed, accuracy and stability, which has been awarded multiple national patents. Certified by the experts and provincial agencies, this production line together with our other independently-developed products such as “Fully-automatic Filling, Sealing and Capping Machine”, “Automatic Perfume Filling and Capping Machine” and “Nail-polish Sealing and Capping Machine” utilize domestically leading technologies that are favorably equivalent to the technologies applied in counterpart products produced in developed countries. 80% of our products are exported to overseas markets, ranging from South America, North America, Europe, Asia, Middle East, and Africa. Our product quality is deeply trusted by clients all over the world. 2. In which way is your company involved in the packaging market? 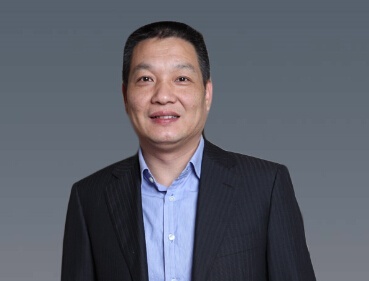 Mr. Wu Chaowu:Rigao Co., Ltd plays multiple roles in packaging markets. As a packaging machine manufacturer, Rigao Co., Ltd is devoted to producing smart packaging machine, developing smart packaging equipment for cosmetic and pharmaceutical industries, and providing efficient, energy-saving and personalized integrating packaging solutions for cosmetic and pharmaceutical manufacturers. Meanwhile, with our rich experience in R&D, we assist relevant government agencies to develop national standards to regulate the packaging market. In addition, Rigao Co., Ltd has established a portal website--- China Packaging Machinery Industry Network, in order to build a platform for inter-enterprise exchange and consulting service, provide agent service and import & export service for foreign packaging products, organize seminars for various industries, and promote the mutual development of packaging machinery manufacturers. 3. Would you say that we are experiencing a change in the packaging of Pharmaceutical/food/cosmetics/ products? Mr. Wu Chaowu:The answer is yes. Consumers has increasingly bigger demands for disposable times and fast-packaged products, as China’s economy booms and people’s living standard, consumption level and pace of life are enhanced. This trend will stimulate the demands for packaging equipment for food, cosmetics and pharmaceutical products. Meanwhile, the government has proposed agricultural industrialization development programs, which is focused on the deep-processing of agricultural byproducts. Deep-processing of agricultural byproducts requires large quantity of packaging machinery and materials; National Development and Reform Commission has listed food processing and packaging machinery as the prioritized field in the development of food industry. All these will bring promising prospect for the packaging machinery industry. From this perspective, the big change in cosmetic, food and pharmaceutical industries is beneficial to the development of the packaging machinery industry. However, we should see that there are long-existing structural defects in China’s packaging machinery industry, such as over-capacity, excessively reliance on energy consumption, weak independent innovation, weak corporate competitiveness, and disparity between industrial scale and economic efficiency. 4. What significance do you attach to the chinapharm? Mr. Wu Chaowu: As a manufacturer of packaging machinery, of course I am more inclined to make comments on the significance of a certain exhibition to companies and industries from the perspective of packaging industry. In recent years, Chinapharm has become Asia’s most important fair for cosmetic and pharmaceutical industries. Every year, it attracts many famous cosmetic and pharmaceutical manufacturers from home and abroad. Customer is vital for a company’s development. It is necessary to contact and communicate with target customers, especially international big brands. Chinapharm not only provides opportunities for exhibitors to explore business opportunities and markets, but also establishes a platform for technical exchange with customers, which creates opportunities for exhibitors to develop innovative products that meet the market’s demands. This time, Chinapharm, PacPro Asia、FoodPex and BulkPex are held at the same time, which gathers upstream and downstream enterprises in packaging industries, and builds up an integrated exhibition platform for packaging industry, which also generates a synergistic effect beneficial to China’s packaging industry. 5. Which kind of interests do you pursue with your involvement in chinapharm? Mr. Wu Chaowu: Rigao Co.,Ltd is a company mainly engaged in exporting its products. Firstly, we hope to get more chance to communicate with international customers at the fair, and comprehensively present our outstanding R&D achievements to the public, to enhance our product’s popularity and impact. Secondly, we hope to broadly understand customer’s needs, which will be our focus of future R&D, so that innovation can be targeted and the products will have more longevity. Thirdly, Rigao Co., Ltd is transforming itself from a pure machinery manufacturer to a manufacturer of smart packaging machinery, which combines intelligent industrial equipment manufacturing i with internet of things, so as to achieve massive and intelligent production. We hope to associate with more counterparts at Chinapharm who has the same vision as ours. We also hope to discuss intelligent manufacturing concepts with them, talk about the experience gained from corporate development, and finally achieve win-win cooperation.